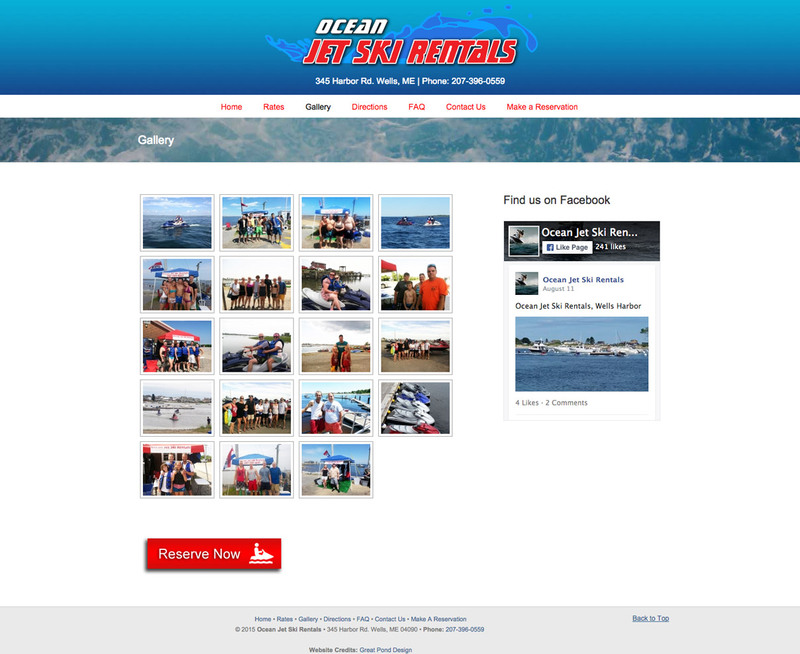 Ocean Jet Ski Rentals are one of our long time clients and the site is currently in it’s second incarnation. With the nature of their business, we felt it appropriate to include lots of bright colors and blues in the design, and contrasted with bright red CTA’s throughout… you can’t really go anywhere on the site without a “Reserve Now” button following you. The site is fully responsive and features client-supplied photos throughout the sidebars – most of which were brightened up in Photoshop. Originally we built a custom (and extremely complicated) reservation system, but for version 2.0 we wanted things simplified. We also designed the current logo and did some light SEO which has served them very well – the majority of their reservations come from the website. 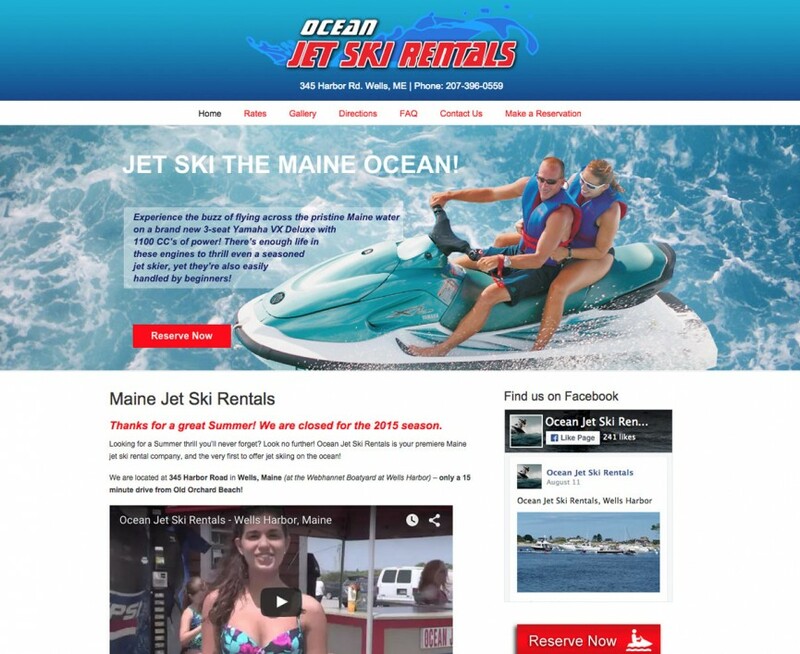 As of typing this they are #2 in Google for searches of “Maine jet ski rentals”.